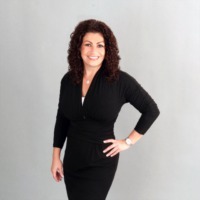 With a reputation for placing clients needs, goals and objectives at the forefront of every transaction, Laura Trebatch provides communication, negotiation and management skills in combination with in-depth knowledge of the South Florida neighborhoods and real estate market. Laura has the expertise to sell your home or help you find the perfect home. She has developed a team (mortgage broker, attorney, roofer, home inspector, etc.) who are reliable and trustworthy and whose skills make the home-buying process as stress free as possible. Laura?s prior training as an Assistant Vice President of Sales/ Operations Manager for a commercial bank (retail division) are responsible for the discipline, attention to detail and follow-through she brings to her work. At this position, she became an expert in consumer sales and marketing, which combined with her integrity and strong work ethics, have made her a sought after Realtor. Originally from New York, Laura graduated from Florida Atlantic University with a degree in Marketing, Management and Small Business Entrepreneurship. She currently resides in Delray Beach.